Getting dental and oral assessment during the pregnancy period is one of the most crucial things you can do to maintain your and your baby’s health. According to the expert and wise advice by the renowned dentist in Los Angeles, Dr. Shervin Louie, he says that it is always best to examine and treat dental/oral issues at the very moment they appear to avoid further serious damage. Latest studies in this field have shown that poor oral or dental health contributes to not only such serious threats like mouth cancer, but it is also the very culprit behind destroying other important organs in your body such as your heart, liver, or kidneys. While in pregnancy, maintaining oral health becomes very crucial because the emergence of any oral problem, it may contribute significantly towards pain and infection, which will, in turn, can be devastating to the developing fetus in mother’s womb. So, as soon as you know that you are pregnant, make sure you pay a lengthy visit to your dentist to ensure your born-to-be child’s safety. How A Dental Treatment Is Carried On In Pregnancy? Getting a dental treatment, especially in pregnancy, requires much care and precaution. This is why it is always recommended to seek the help of only a well-certified and credible professional dentist in Los Angeles whenever you are about to undergo a dental examination/treatment during your pregnancy. The reason for such care and caution is there because some of the treatments may well require the need of anesthesia or sedation, which should need to be monitored very carefully during pregnancy. A dental patient may require consulting with their obstetrician before doing so. Your dentist will also take all kinds of safety measures and will only proceed further when it is best for your and your baby’s health. Therefore, the best time to obtain dental treatment is as early as you can in your pregnancy. Drugs in the phase of pregnancy is also another matter which should need to be handled with extreme care. The renowned dentist in Los Angeles Dr. Shervin Louie states: “The classification system for drug intake in a pregnant woman given by FDA in 1979 ensures and binds, both the medical practitioner and patient, to examine the level of risk involved in a certain drug against the fetus.” Therefore, dentist across the world offer relatively low-risked medicines or monitor safe levels of anesthesia, for all kinds of dental treatments. The recommendations set forth by the American Dental Association also ensures much safety precautions for the pregnant woman getting a dental treatment. However, and again, the key in all of this is to choose and only consult with a certified and reputable dentist because they are the only ones who can provide a safe and verified practice. As mentioned above in the first paragraph also, keeping your oral and dental health at a top level also contributes to the safety of your child in your womb in the earlier stages of development of the fetus. One study tells us that those women who suffer from severe gum diseases, such as periodontal, are at risk of premature delivery. This increases the chance of a less healthy low weight baby. Plus, it also contributes to cardiovascular problems, respiratory problems, and diabetes; all of which can be disastrous to both the mother and baby. 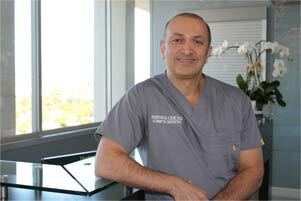 According to Dr. Shervin Louie, a reputed Los Angeles dentist, the key to maintaining an overall healthy body is to begin with the oral care first. Pregnant mothers should do their best to prevent periodontal gum diseases and tooth decay by adopting good habits such as daily brushing, rinsing, and avoiding bad ones like smoking or drinking alcohol. Also, keep paying a visit occasionally to your dentist in order to ensure that everything is fine with your mouth and teeth and you don’t need to worry about anything else.